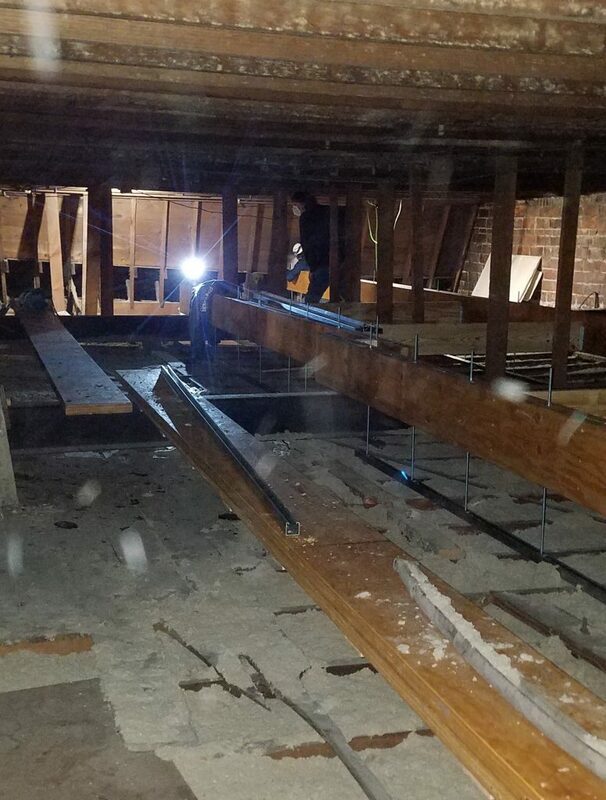 JEFFERSON, Iowa, April 11, 2019 — About $35,000 in savvy engineering and quick construction has allowed the Greene County Iowa Historical Society to avert a disaster with our 102-year-old museum building in Jefferson. Last fall, when volunteers Chris and Janet Durlam were working as docents during the Smithsonian Institution’s traveling “Hometown Teams” sports exhibit that was on display in the museum, they noticed the ceiling was badly sagging in about the middle of the building — in fact, sagging a foot or more. 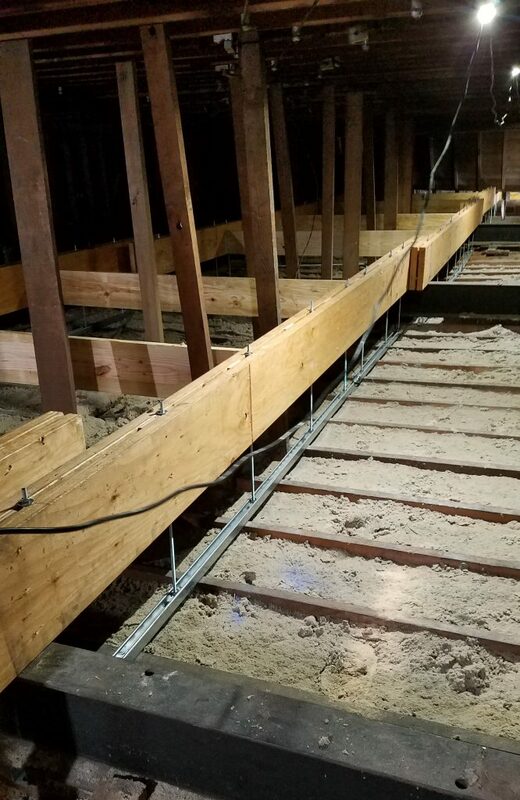 Chris Durlam investigated above the ceiling and could see that the beams which held up the ceiling were pulling away from the support structure under the roof. 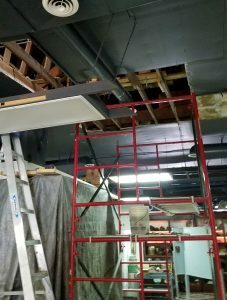 He located jacks to push the ceiling back up and secure it, a temporary fix that allowed completion of the Smithsonian exhibit’s scheduled stay here. Roger Aegerter, executive director of the historical society, then began work on applications for grants from the Greene County Community Foundation and the Grow Greene County Gaming Corporation to help with the repairs estimated to be $35,000. In the last month, the foundation gave the historical society $15,000 and the gaming corporation contributed $20,000 — providing for the construction without bankrupting the historical group. 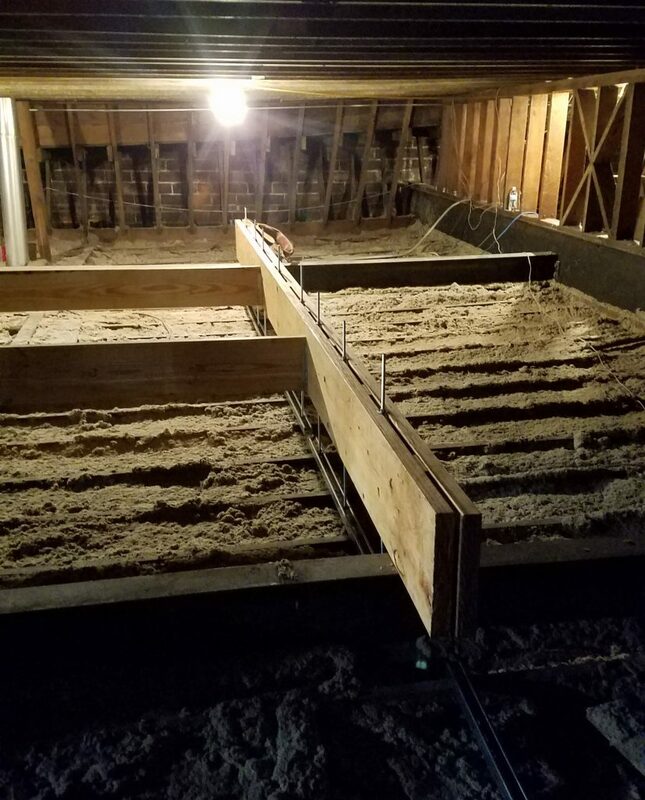 Brad Bendickson and his crew from Bendickson Woodworks LLC has been at work on the project for about three weeks now, and they expect to finish this week. In the middle of all this, there were leaks from the flat roof, too, when the snow was melting and the rains began. 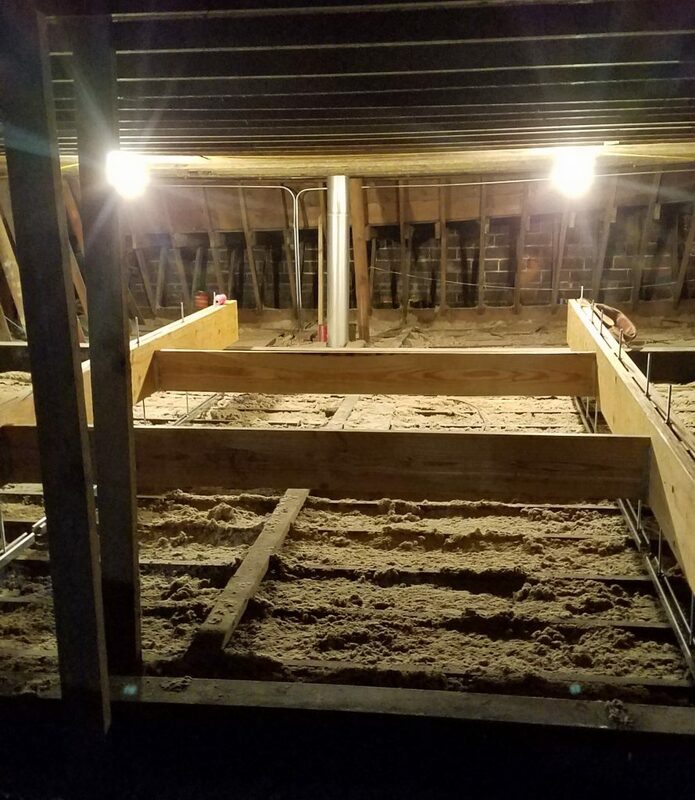 Aegerter contracted temporary repairs to stop the leaks and is now studying whether total replacement of the roof is required. The museum is closed to the public until displays are cleaned and put back in place after the construction is completed. 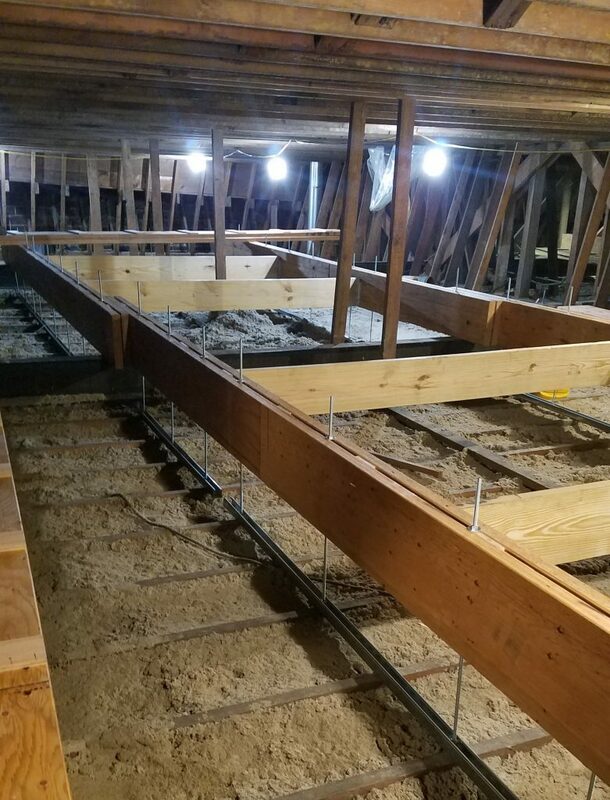 You can see in these photos, which are provided by Bendickson Woodworks, just how extensive the construction has been on the supports between the ceiling and roof.